As most of you know by now, I’m a lover of all things organic and natural. I eat as organically as possible and for a good number of years I’ve tried to use as natural as possible skin products on my face. However, I’ve not applied this much to either make up or nails, and I intend to change that this year. I love having my nails shaped and polished. I like experimenting with colours and am very fond of greens and blues. Basically I’ll give just about any colour a go as long as it’s not traditional red, which for some reason I hate. However, all this fun painting of nails is not the innocent, harmless little pastime it may seem. Nail polishes contain some of the nastiest, most toxic chemicals there are. Top of the list of these is formaldehyde which is a known carcinogen. Formaldehyde, along with dibutyl phthalate and toluene (also common in nail products) are known as the “toxic trio”. The last 2 are associated with birth defects and can affect pregnant women. You know that horrible smell in nail salons, specially when they’re doing gels? Your instinct is correct if you feel you shouldn’t be breathing in these fumes and you want to get out of there as quickly as possible. It’s about as healthy as breathing in the fumes from a car exhaust and most salons have very poor air ventilation. Amazingly, the huge amount of industrial chemicals used in cosmetics generally, are pretty much unregulated. The fact is that the bottle of nail polish you’re using on yourself (and perhaps on your little girl) has probably been put on the market without ever being tested for safety. Nail salon workers in particular often suffer from this continual exposure to harmful chemicals. This can result in skin irritations, nausea, allergic reactions, neurological symptoms, headaches and cancer. Ok, so that’s the bad news. The good news is that there are non-toxic alternatives. It’s true that some are not so great but I’m very excited to have found a wonderful new brand that I absolutely love. Good news about the chemical free nail polish. However what about the removers. They smell so toxic. What can one use to remove nail polish that’s ok. Thanks. 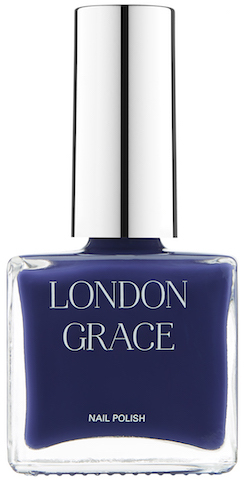 The great news is that London Grace does a remover as well! My nails have been damaged by a nail varnish applied by a professional. Is their any oils I can use on my nails to help them recover. I wonder if a good cuticle oil will help. 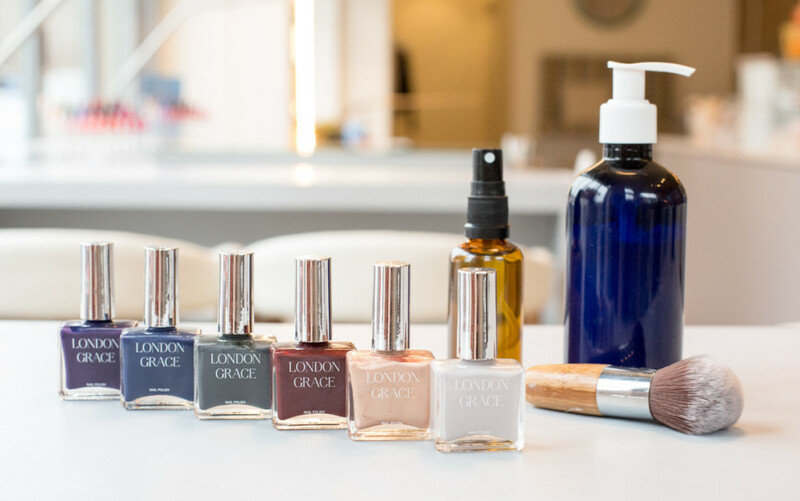 London Grace has all natural chemical free products so are very gentle. They do a cuticle oil as well as a nail strengthener and a hand cream.